MAZDA has turned up the heat even further on the competition by giving its hot-selling Mazda3 a mid-life upgrade that is more than skin deep. Along with significant price cuts that drop by as much as $1870, Mazda has added an additional model to the range that squeezes into the 3 line-up between the Maxx Sport and SP25. Dubbed the SP20 SkyActiv, it is the first car in the Japanese brand's model line-up to adopt the so-called SkyActiv technology, a package that has already started to find its way into all Mazda vehicles, starting with the new CX-5 launched in February. It is Mazda speak for a diverse spread of technologies aimed at improving overall vehicle efficiency and has a different meaning depending on whether you are talking about engines, transmissions or chassis. While the complete package is now on show in the CX-5, the Mazda3 introduced SkyActiv courtesy of a new two-litre SkyActiv-G engine, which delivers a 15 per cent improvement in both torque and fuel economy. To help the SP20 achieve its class-leading 6.1 litres/100km fuel-consumption figure (hatch 6.2 litres), Mazda engineers have tweaked the two-litre four-cylinder engine via a 12:1 compression ratio, new pistons, new multi-jet injectors, a newly designed crank shaft and lighter engine components. The engine is mated to a super-smooth new six-speed sports-shifting automatic transmission and engineers have also improved the car's suspension, damping and aerodynamics. Power and torque have increased by 4.6% and 6.6% respectively while fuel efficiency has improved by an amazing 25.6%. Priced from $29,990, the new SP20 SkyActiv is sure to attract a lot of admirers and for $3000 more you can add a luxury pack that includes bi-xenon headlamps, sliding centre armrest console, leather seat trim, premium Bose 242 watt amplifier and 10 speakers including subwoofer. Compared to the old and continuing two-litre MZR four-cylinder petrol engine/five-speed auto combination that powers the vast majority of the rest of the range, the SkyActiv-G is the most fuel-efficient two-litre petrol non-hybrid car on the market. These gains have also come courtesy of a slight reduction in overall weight which make many of the drivetrain's ancillaries operate more efficiently and an idle-stop-start (istop) system has been added to cut consumption further. 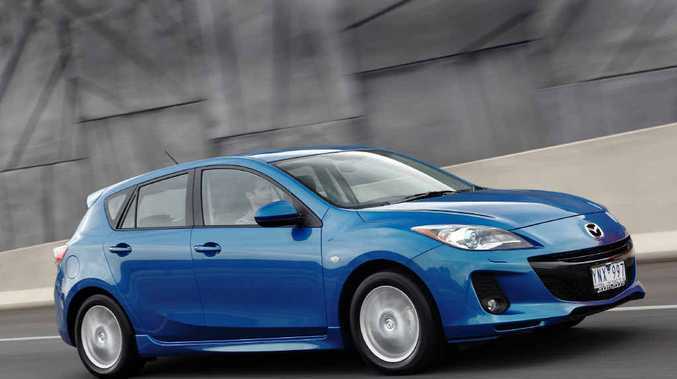 On the road the SkyActiv is a strong and determined performer, the automatic transmission is just brilliant and Mazda engineers have done a wonderful job in sharpening responses and improving ride comfort.